Reading and implementing what I learned from the book Mindless Eating by Brian Wansink was a real turning point in my weight loss journey. 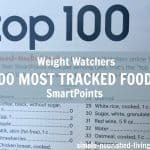 It was the tipping point that led to achieving the peace with food I’d been seeking while maintaining the Weight Watchers goal weight I’d set back in my late 20s. 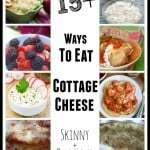 Now seven years later, as I settle in at the scene of this healthy exploration (Land O’ Lakes, WI), I thought it would be fun to create a 6-week Mindless Eating Challenge to help others experience what I discovered. 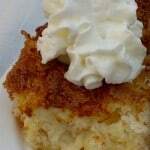 While Weight Watchers friendly recipes are important, they are only one part of the equation. Learning how to manage our environment and develop healthy habits are the critical elements of lasting weight loss success. Mindless Eating: Why We Eat More Than We Think (affiliate link) helped me see this. But it’s not enough to just read a book. You have to practice what you discover. Which is what this challenge is all about. 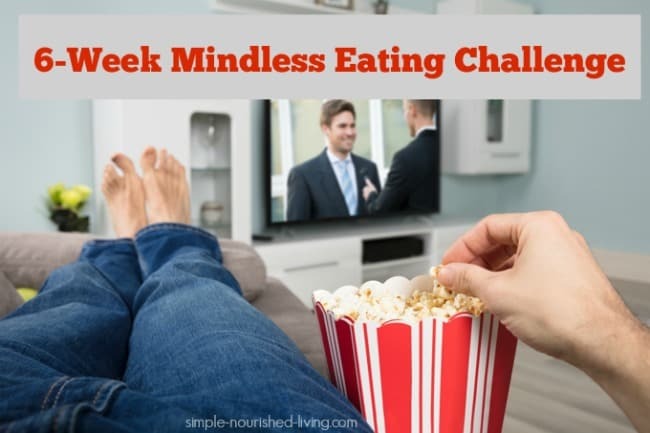 For this challenge, we will all read Mindless Eating and share our awarenesses and experiences. Every week for six weeks, from July 9 – August 13, we’ll read two chapters a week and share what we learn. I’ll kick things off every Monday with a post, which will give provide participants a place to comment with their discoveries, if they’d like. To be most effective, this challenge is best undertaken in a low key “let’s just see what we discover” manner. No pressure. No way to fail. But it does provide a bit of accountability if you find it helpful in propelling you into action. 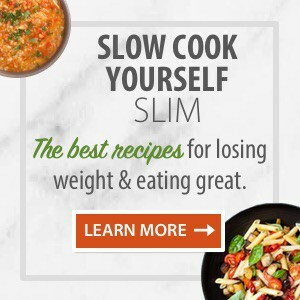 All you need to do to take part is buy the book Mindless Eating: Why We Eat More Than We Think (affiliate link), by Brian Wansink (or borrow it from your library). 21st Century is the Century of Behavior Change. While medicine is still making discoveries to fight disease, the key to adding years and quality of life can come from changing everyday longterm behaviors, including reducing risky behaviors and making changes in exercise and nutrition habits. There’s no simple one-size-fits-all prescription. We need to be motivated to change. I find it curiously in alignment that for the first time Weight Watchers Chief Scientific Officer has a background in psychology/behavior change, not nutrition. 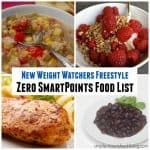 Comparison of the strengths/weaknesses or popular diets including South Beach, Sugar Busters, Weight Watchers, The Zone and Atkins. 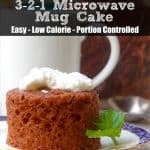 Advantages of Weight Watchers included – easy to dine out, no food groups excluded, teachers portion control and nutrition, support is offered. Disadvantages noted – membership can become expensive over time, calculating points can be cumbersome. Think ‘back’ for all foods that aren’t good for you – ‘back’ of the of the cupboard, ‘back’ of the fridge, ‘back’ of the freezer to make them as inconvenient as possible. Keep temptations wrapped under foil so you don’t see them. Don’t pre-buy snacks for future occasions (like buying Halloween candy weeks ahead like I used to do). If you must buy snacks, choose what the family likes but you don’t. Make it a rule to only eat at the kitchen/dining table. Don’t eat over the sink or in front of the fridge. Keep tempting foods out of sight and out of mind. Store them in the basement, or in the back of out-of-the-way cupboards. Repack mini-portions of them into Ziploc bags or Tupperware so you can’t see them and they can’t tempt you like those Hershey’s Kisses in the clear glass jars. If family members want different foods, have separate cupboards that are assigned to them and off-limits to you. The only food that should be out on the counter are the healthy foods. Substitute a fruit bowl for your cookie jar. Never eat directly from a package. Always portion food out into a dish so you must face exactly how much you’ll eat. Stay more than arm’s length away from the buffet tables and snack bowls. Put only two items on your plate during any give trip to the table. Use the volume approach to make yourself feel full. Chow down on the healthy low calorie stuff like broccoli and carrots and then see if you have room for the rest. When you think you’ll be distracted by an important or fun conversation, se the food down and give the conversation your full attention. As you enter the room tell yourself, you are there first to conduct business and secondarily to eat. If you plan to attend a cocktail party or buffet-style dinner, arrive late or leave early to avoid eating too much. Before you begin to eat, ask the waiter to pre-wrap half of your entree to take home. That way you are not tempted to eat more than you intend. Ask for water and alternate glasses of water with whatever else you are drinking. Pace yourself with the slowest eater at the table. Always be the last person to start eating and set your fork down after every bite. Only have a bite or two of dessert. Brown-bag it. Even a couple of times a week will help. Stock your desk or lunchroom refrigerator with high protein choices like yogurt and pop-top cans of tuna fish. Turn off the computer or pull the car over while you eat. Use food policies and trade-offs like: the first thing you eat at work is fruit, eating an indulgent snack means taking a walk during your break. Replace every other soft drink with water. We often think we are hungry when we’re simply thirsty. What were your biggest takeaways from Appendixes A & B of Mindless Eating? What strategies have you implemented? What have you discovered? Did you see yourself in any of the five eating types? (I could see myself in several of the styles during different phases of my life. In early life I was a meal stuffer. After college in my early married years I was a restaurant indulger. I’ve also been a snack grazer. I hope this challenge has helped you realize eating too much doesn’t mean you are broken. Creating strategies to re-engineer your environment to help you win at weight loss in a slow and steady way sets you up for lasting success in a way that feels much easier than the more traditional diet approach. PS: If you want some support eating better and losing weight this summer, my 28-Day Smart Start Weight Loss Challenge may be just what you’re looking for! Many of the tips and suggestions are based on what I learned by applying Dr. Wansink’s Mindless Eating concepts. Your 28-day course was very helpful. ~ Lynn K.
Hi Martha – I purchased your 28-Day Smart Start Challenge and I love it!! I don’t know how to thank you. ~ Debra S.
Thank you so much for the outline, I really appreciate it. This book has adjusted my min set about food. OH, doggies! The ending was an eye opener . . . “Is the solution to Mindless Eating to be more mindful of what and how much we eat?” “NO” he says! WHAT? “The goal is to make small changes in our environment so it works with us rather than against us. . . it is easier to change our environment than to change our mind.” And, “But when it comes to weight control, most of us will probably find it easier to eat one less donut than to walk three more miles.” My journey reflects this . . . I have worked out daily since age 35 (Now I am 62) but could never control my weight until WW, controlling the food that goes into my mouth. This has been a game changer in my mind, that all the exercise in the world is not going to make up for all the extra food I put into my mouth. My action plan/take away from the book is controlling my environment more to lessen the impulse eating. I rarely over ate due to hunger; mostly emotions. 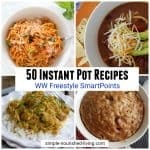 Thanks for the great recipes, tips, and now the book! You have been one of the greatest resources in this journey. Well said Jeannie. It’s so much easier to take control of our environment than our mind or emotions. I’ve also come to understand that I need to pay less attention to what I eat much more attention to how much I eat. I was deluded into thinking that because a food was healthy somehow the calories didn’t matter!